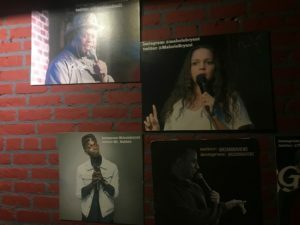 It’s hard enough to own one comedy club in NYC and make it successful. Two is pretty amazing, but three is completely off the charts. 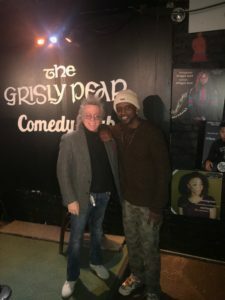 Meet Al Martin the guy who soon will be opening this third comedy club, the Greenwich Village Comedy Club, somewhere on MacDougal Street. 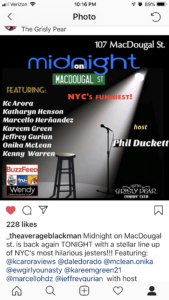 That will mean he has New York Comedy Club on 24th Street between 2nd and 3rd avenue, Broadway Comedy Club on West 53rd Street, which is almost like three clubs in one anyway, with The World, and the upstairs and downstairs rooms going constantly, and now Greenwich Village Comedy. 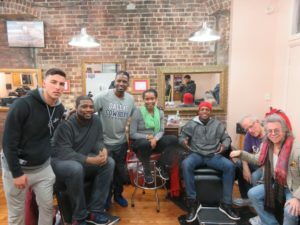 I have a feeling Al won’t stop until he has a room in every part of the city. 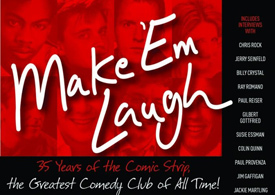 The Soho Comedy Club, The Turtle Bay area Comedy Club, … well actually he did have a club in Turtle Bay! I remember when New York Comedy Club was around 52nd Street and 2nd avenue, and I’d come by to see the variety of shows he had. I recall meeting the late Eric Douglas there, the comedian brother of Michael Douglas, who died very young. One of the things that Al prides himself on is the variety of the shows he offers. For instance coming up on June 3rd, “The Big Brown Comedy Show” hosted by Aasif Manvi from The Daily Show. Indian comedy is definitely on the rise, as evidenced by the success of Russell Peters, Aziz Ansari, and Kal Penn who plays Kumar in the wildly successful Harold and Kumar films. The legendary J.J. Walker will be hosting a show there at the end of June, and one night recently, Vinny Parco from the TV show Parco P.I. was there hosting a show called “Naughty Girls”. 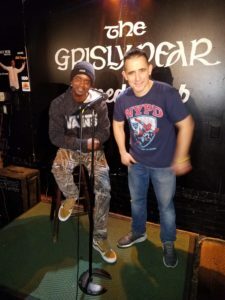 Despite everything else he does, and with all the reality shows he’s planning, Vinny always makes time to perform comedy, a great love of his. Vinny Parco of Parco P.I. 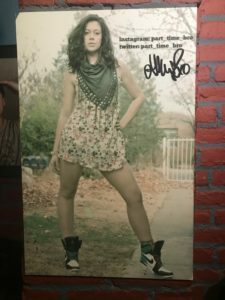 fame hosting the “Naughty Girls” show at Broadway Comedy Club! And true to the name of his show he brought a bunch of very naughty girls to do stand-up. 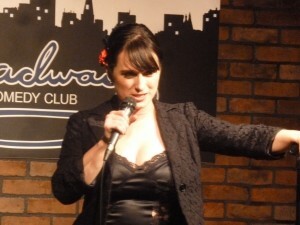 Tatiana, one of Parco’s “Naughty Girls” comics onstage at Broadway Comedy Club! It was a very fun show including Judy Cianciotto, Maureen Langan, and Jen Raumero! Vinny Parco with one of his “naughtiest” girls on stage at Broadway Comedy Club! 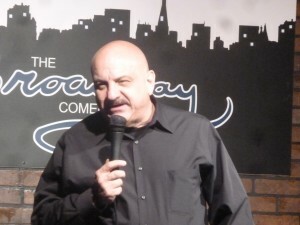 Al is a funny comic in his own right, so now he doesn’t have to audition at any other clubs. (LOL) He’ll have three stages with which to indulge his passion! Good luck Al. Can’t wait to start hanging out there!